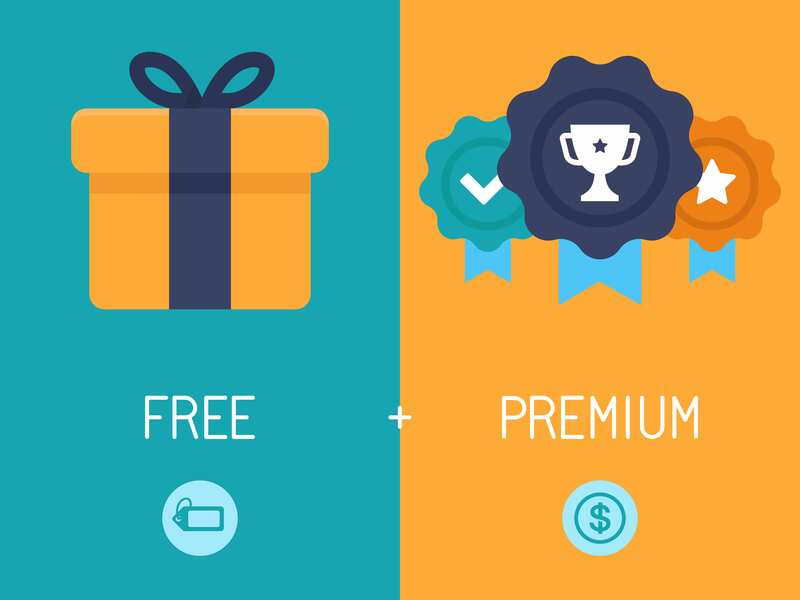 The Freemium Model: What is it and how can you use it effectively? We’ve all experienced the freemium model, but probably just didn’t know the name of it. At least I didn’t. This model occurs when users of an app or other business have access to and use basic features and can receive higher functionality and features for a monthly subscription fee. Hulu, Match.com, Dropbox, Spotify, Pandora, and LinkedIn all employ this model. On the user end, it can be a bit frustrating, running into locked features at seemingly every turn. But there is a good reason why many businesses use this model. First, this is a great (and cost-effective!) way to attract a new user base without using resources on costly campaigns and traditional sales forces. Additionally, the regularly incoming fees are more sustainable source of revenue. And finally because people have become wary of the free 30-day trial method due to difficult cancellation processes, indefinite free access is certainly more appealing. You do, however, run the risk of devoting payroll, time, and other resources to a product that (1) users may ultimately find unnecessary or (2) satisfies users with the free features. So let’s review a few points in Vineet Kumar’s breakdown of the need-to-know when developing a freemium product. Let’s say you have 10 features and you choose three of those to be free features. How can you be sure you choose correctly? First, you must understand and remember that the primary purpose of the “free” part of a freemium product is to attract new users. If you see that you aren’t attracting enough new users, then the features are not compelling enough. Time to provide more or better features. On the otherhand, if too many people fail to upgrade to the premium features you might be offering too many features! They are too rich and its time to cut back! You can see that its obviously a balancing act, but be carefully. Don’t alienate your users by requesting to much from them! Do your users understand the premium offer? Essentially, do your users know what they’re missing? If not, how can you make that clearer? The key to the successful monetization of your users is making a clear distinction between the free and premium offerings. For example, the basic user for Dropbox is content uploading basic documents. But a user with video and photo understands that the freely offered 2 GB isn’t sufficient. As a result, they know exactly what they will get when upgrading for $9.99/month. LinkedIn on the other hand hasn’t, in my opinion, made it clear what a user is missing when relying on the free version. They have many upgrade options, which isn’t necessarily a bad thing as it support multiple types of users. However, the premium features just are compelling enough. Especially if users transfer information in and out of the app. Ready for the conversion life cycle? In a perfect world, conversion rates would stay the same. For every 10 free users, three users would upgrade to access premium features. Unfortunately, that is not the case. Research has shown that as the user base grow, the number of price sensitive users increases as well. And unfortunately as demand grows so do costs for certain resources (server space, customer service agents, etc.) Failing to understand and prepare for this, is often the downfall of many freemium-based companies. Furthermore, what is a reasonable target conversion rate for your product? Which is better: converting 5% of 2 million visitors or 50% of 100,000? This will be specific to your company’s goals and ways of generating revenue (solely from subscription fees or from a mix of sources such as ad revenue). And again, your conversion (within set boundaries) can be a good indicator of how well your app is received by your consumers. Are you committed to ongoing innovation? Create newer features that will improve the user experience on your app! When you offer more features, you also increase the value of your premium product. Take Dropbox as an example. It was originally designed as a place to backup your documents, however now it offers file sharing and connects to multiple smart devices. With each new feature, Dropbox’s premium version becomes more valuable to the premium users and more attractive/enticing to the free user. In conclusion, freemium products can be supremely successful when handled correctly and with minds that interpret results in regards to the overall needs and goals of said product. If you have an idea of an app that you feel would work well as a freemium product, contact Inclan Interactive today! We would love to help start you on this journey!